What Can You Do With FotoJet Designer for Mac? You can create personalized designs, no matter who you are. 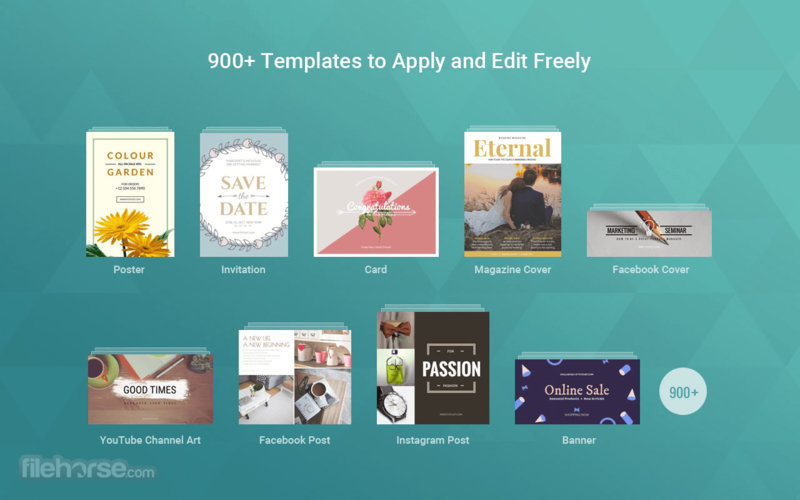 Even with no professional skills, you can get fantastic designs, such as cards, invitations, posters, flyers, banners, social media graphics for Facebook, YouTube, Twitter, Google+, Pinterest, Instagram and Tumblr in a matter of seconds with FotoJet Designer's 900+ templates, thousands of resources, and powerful editing tools. 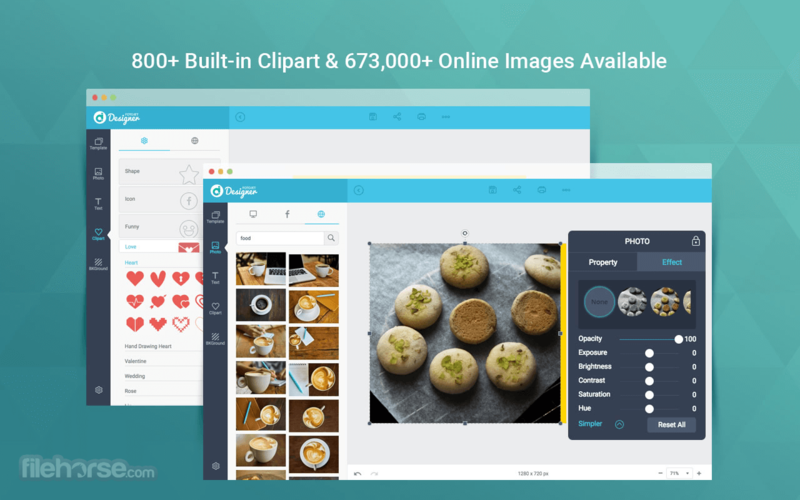 Get FotoJet Designer for Mac Now! 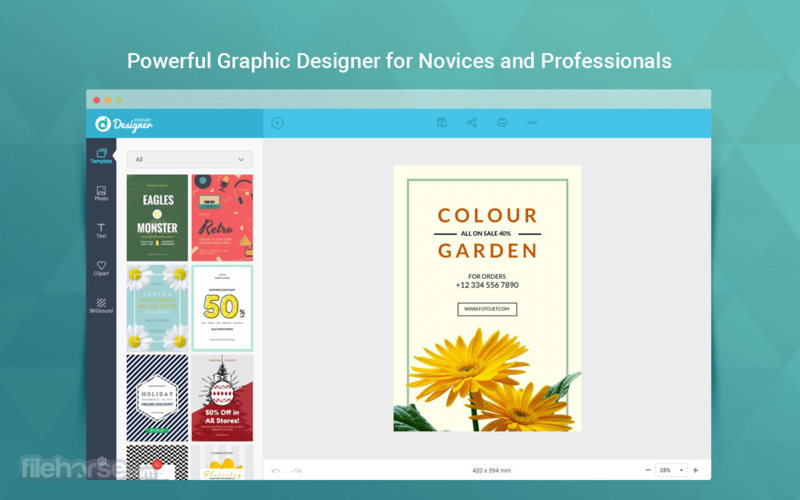 FotoJet Designer makes graphic design faster and easier than ever. 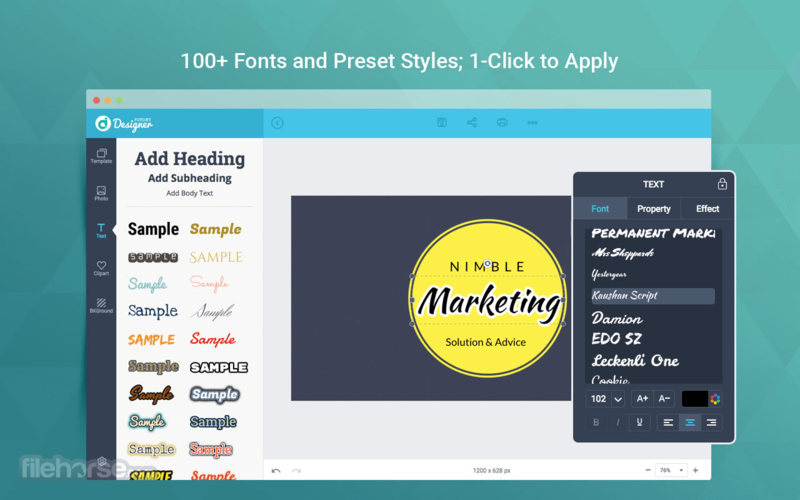 Everyone can create unique and professional designs with only a few clicks and minimum effort because of its ease of use and high performance. You will find over 900 professionally designed templates arranged in various categories, including Facebook Cover, YouTube Channel Art, Poster, Card, Invitation, Flyer, Logo and Banner. To make your designs more outstanding and unique, add you own photos from computer, Facebook, or online photo stock, and you have a wide choice of other resources, including 800+ preset clipart images, 80+ text fonts, 30+ preset text styles, 80+ background patterns, and 80+ lines & shapes. 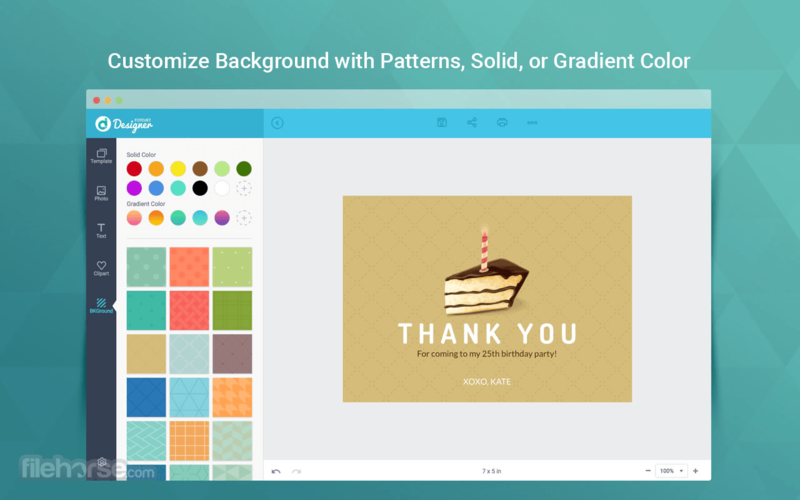 You can move, resize, rotate, and crop photos to make them fit your designs. And there are many photo effects available to give your photos a creative look. Text can be edited freely with custom font, size, color, style, and effect as per requirements. Also, you are given the ability to start a design with custom size and select multiple elements to edit them quickly. There are more helpful tools you can use to personalize your designs efficiently, such as layer management, undo/redo, auto snap, and zoom in/out. When you've finished a design, save it as a JPG or PNG image, or share online with friends and family via Facebook, Twitter, Pinterest, and Tumblr. You can even save it as a project and load for further editing. Note: In demo version, watermark on output.